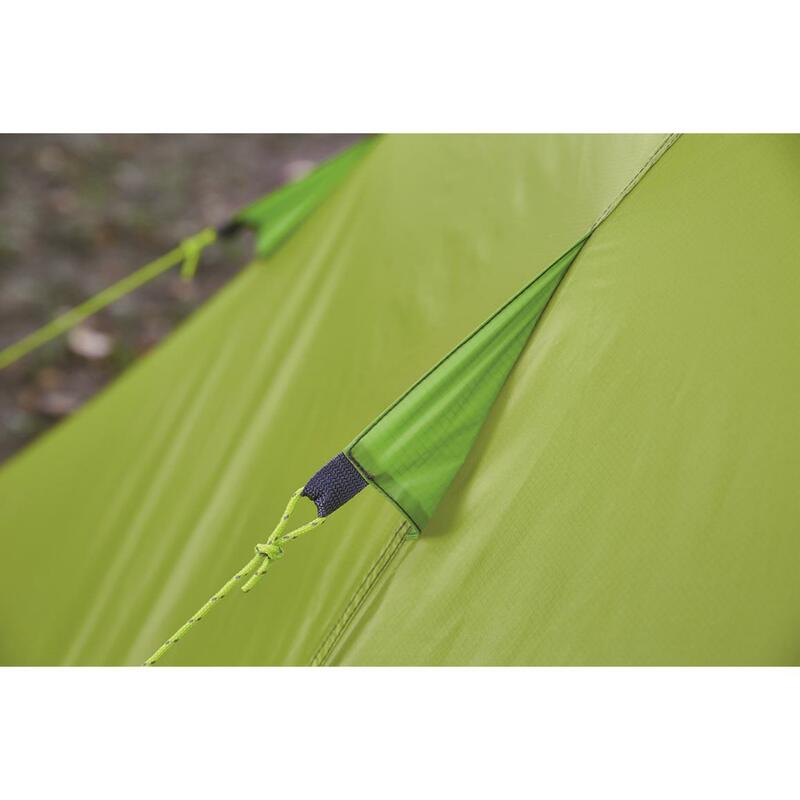 For those looking for an ultra-versatile, ultra-adaptable lightweight solution for trekking into the backcountry, you'll be glad you discovered the Guide Gear® Backcountry Teepee System. 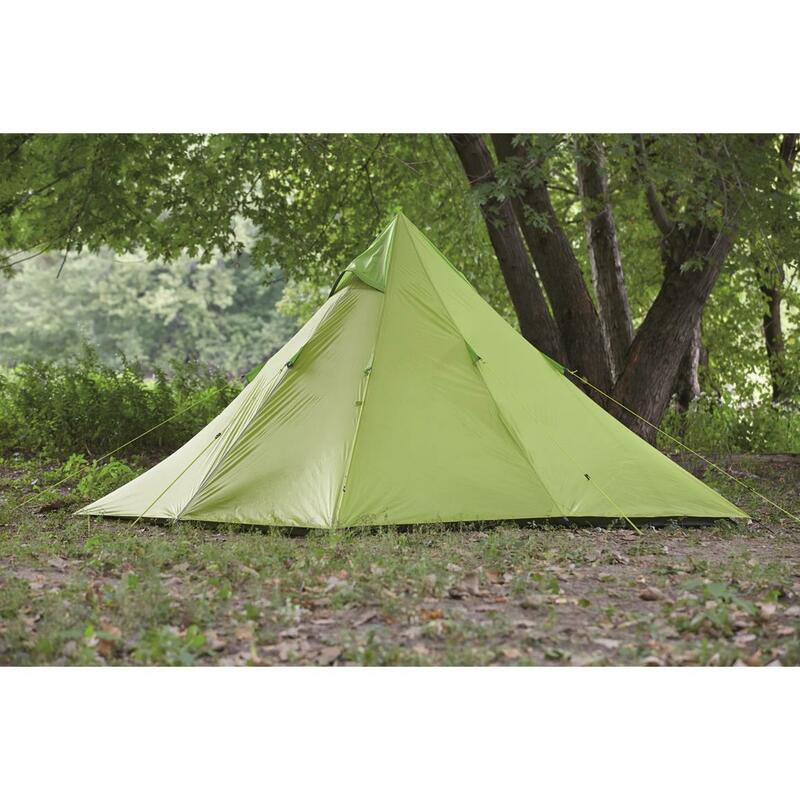 The 2-person center-pole design provides ample coverage for the minimalist camper or hunter needing a reliable shelter without the extra carry weight. The 3-piece solution gives you mix-and-match adaptability to meet whatever mother nature throws at you. 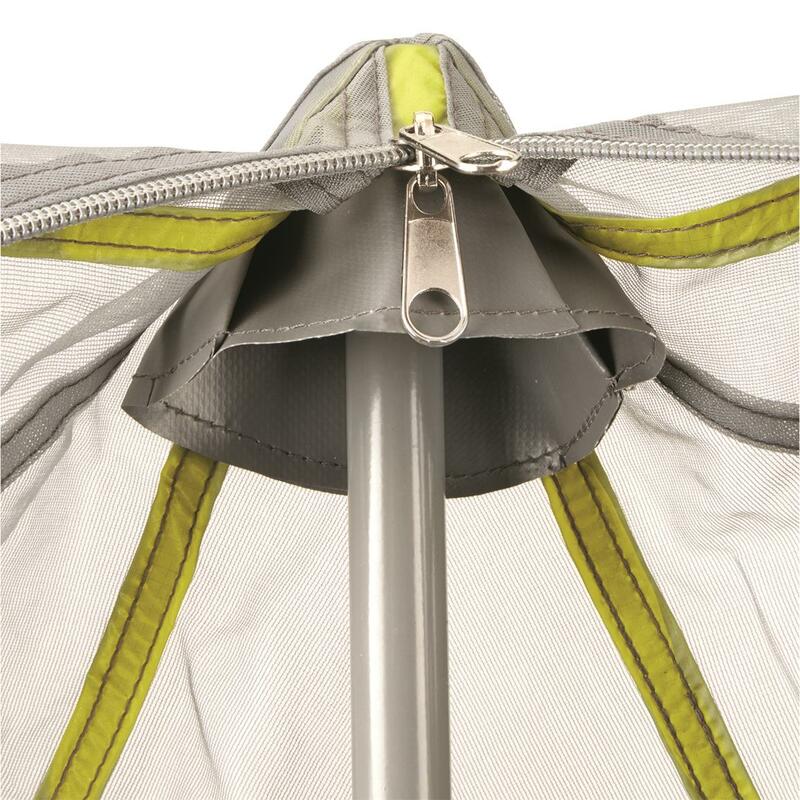 Whatever your intended terrain, whatever your destination, our Guide Gear® Teepee System will deliver. The 3-piece system includes a tarp, mesh tent, and footprint. 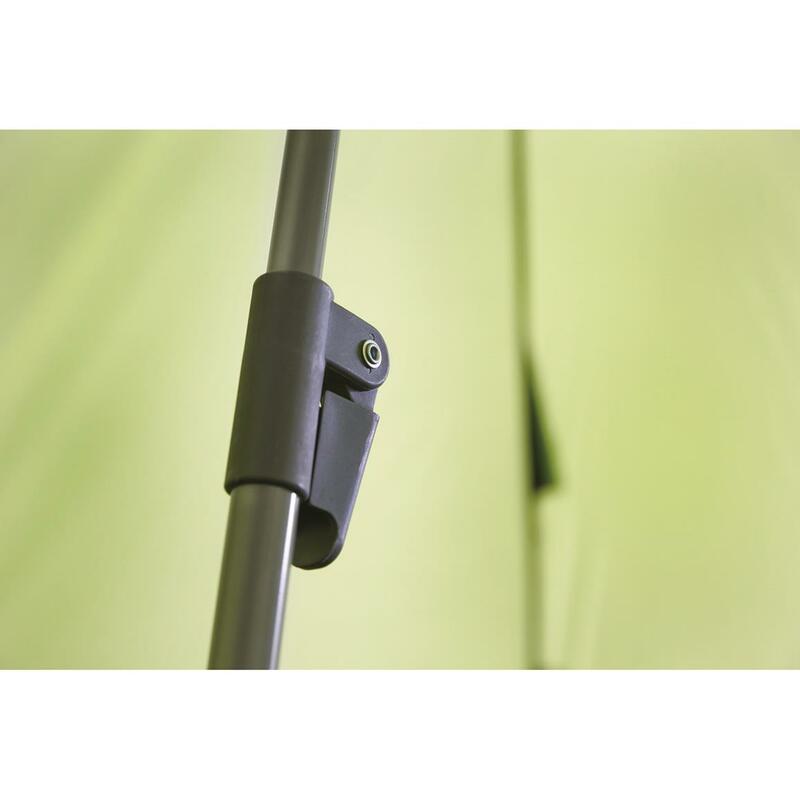 Need an ultra-lightweight solution that lessens your carry weight for traveling the distance? 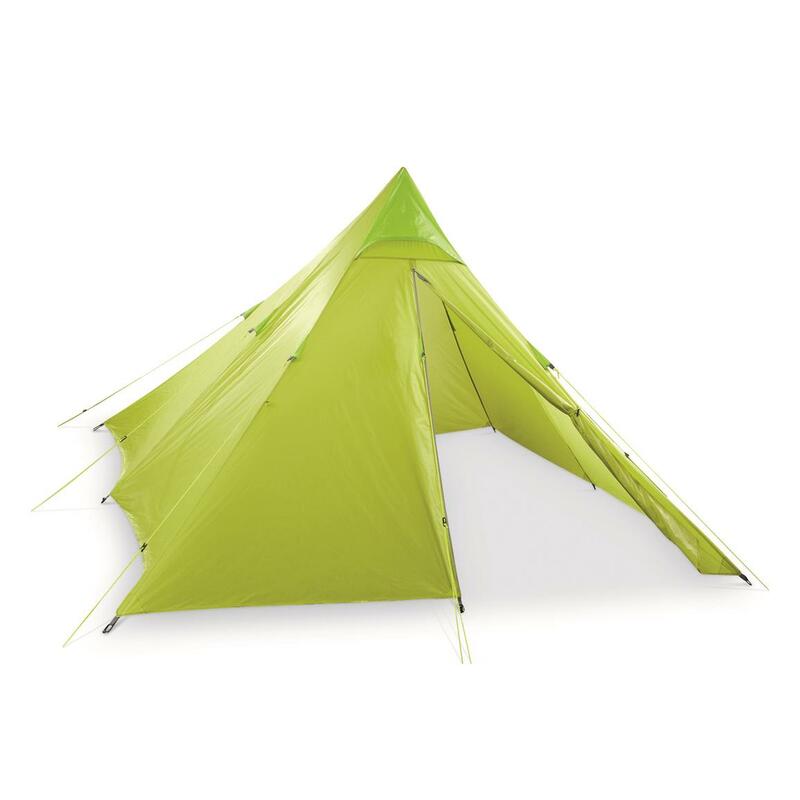 Then bring along the stand-alone floorless tarp to lighten your load, or free up hauling space for carrying out game meat. Prefer not to sleep on the ground? 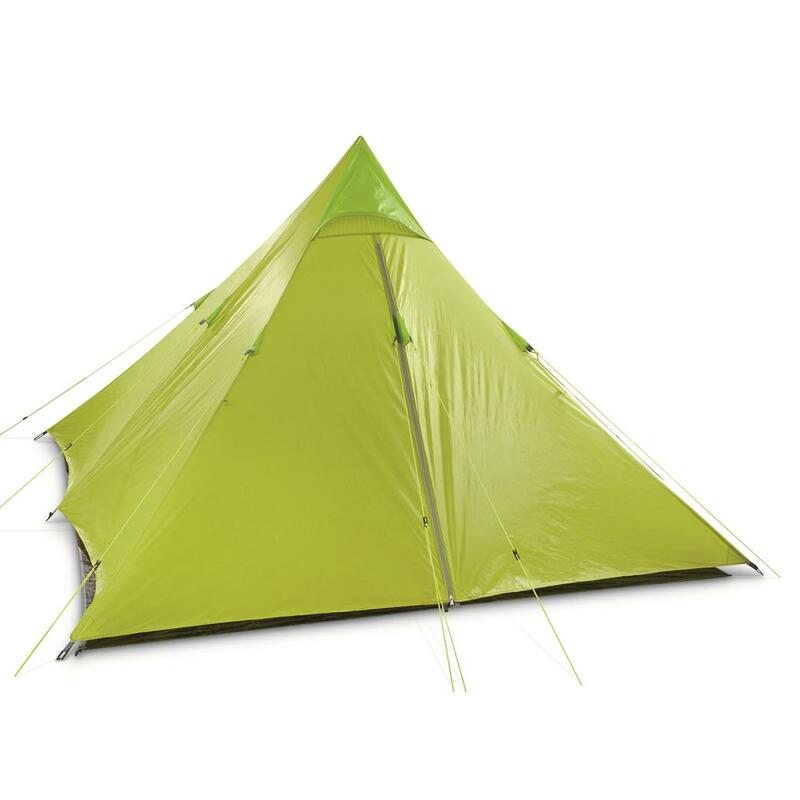 Then bring the footprint along with the tarp to give you extra ground coverage. Camping in an area infested with creepy-crawly critters and tons of hungry mosquitoes? 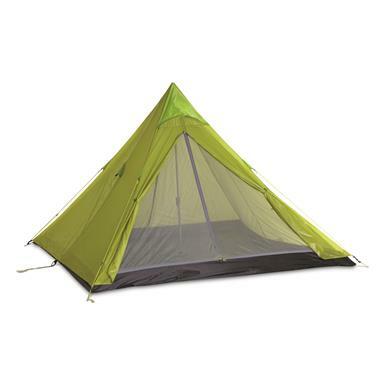 Then better take along the fully enclosed no-see-um mesh tent to lock out those pesky bugs. Need the extra coverage to weather all kinds of storms? Then combine the 3 pieces to ward off mother nature's worst, lock out those bugs and shade you from those beating rays. 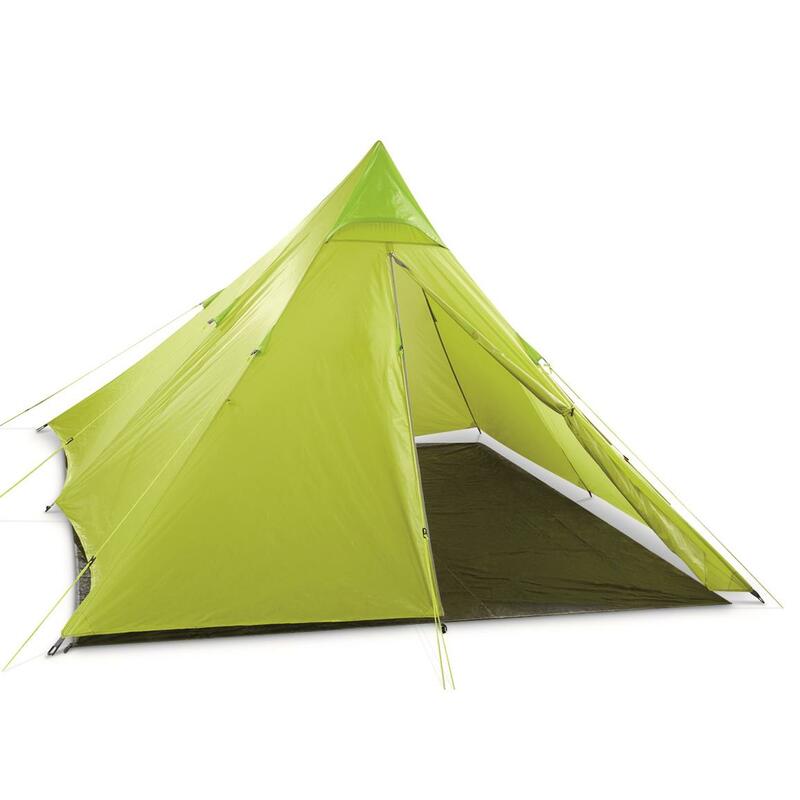 Forget about carrying 4 poles to set up your tent. 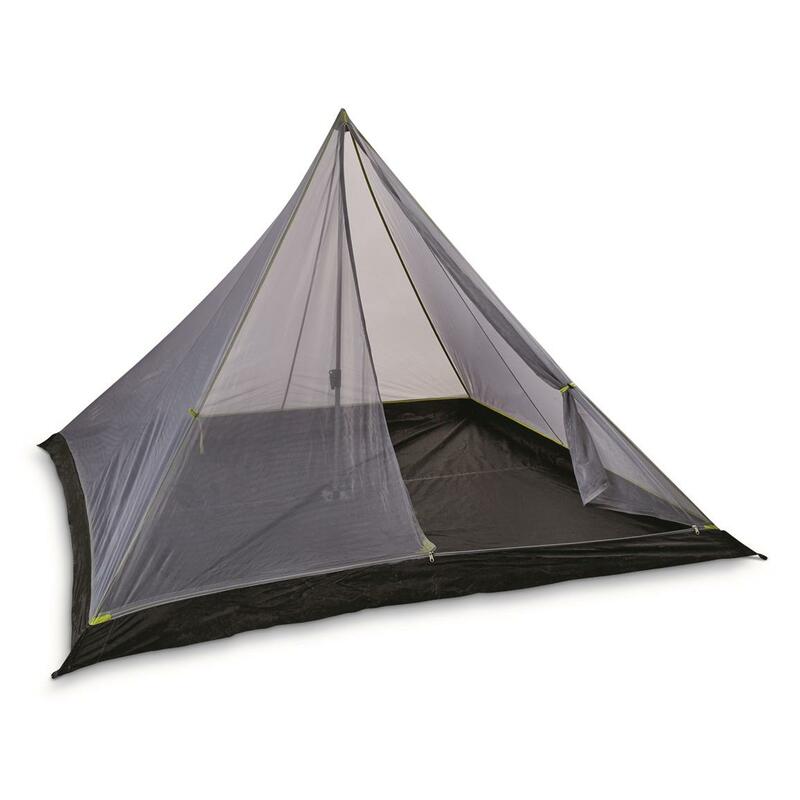 The 2-person center-pole design uses just one aluminum pole to prop up the mesh tent and tarp to an optimal 65" height. 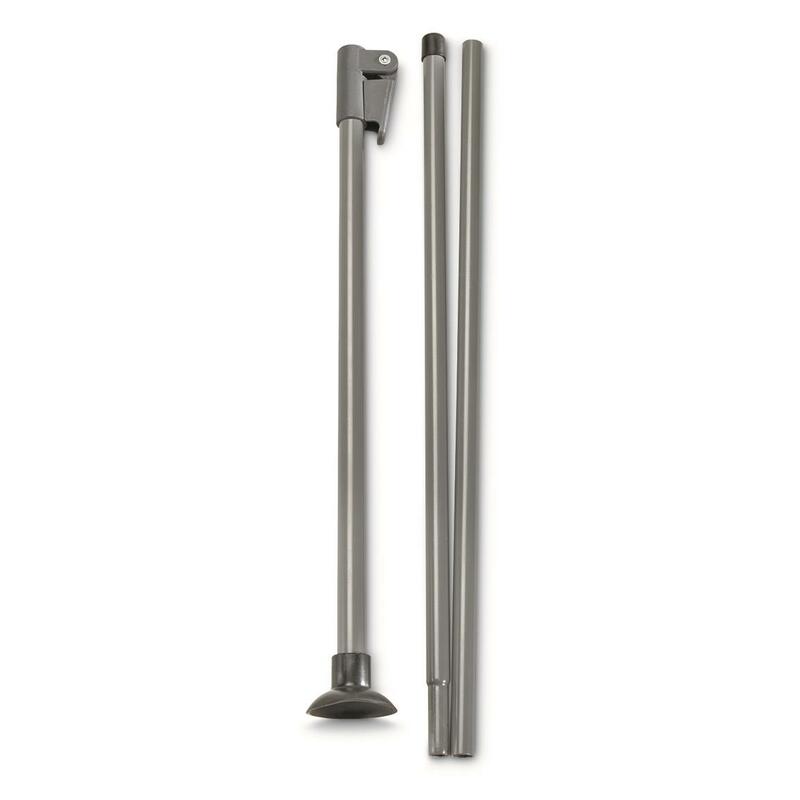 And the telescoping pole collapses to 26" for easy carry with the rest of your gear. 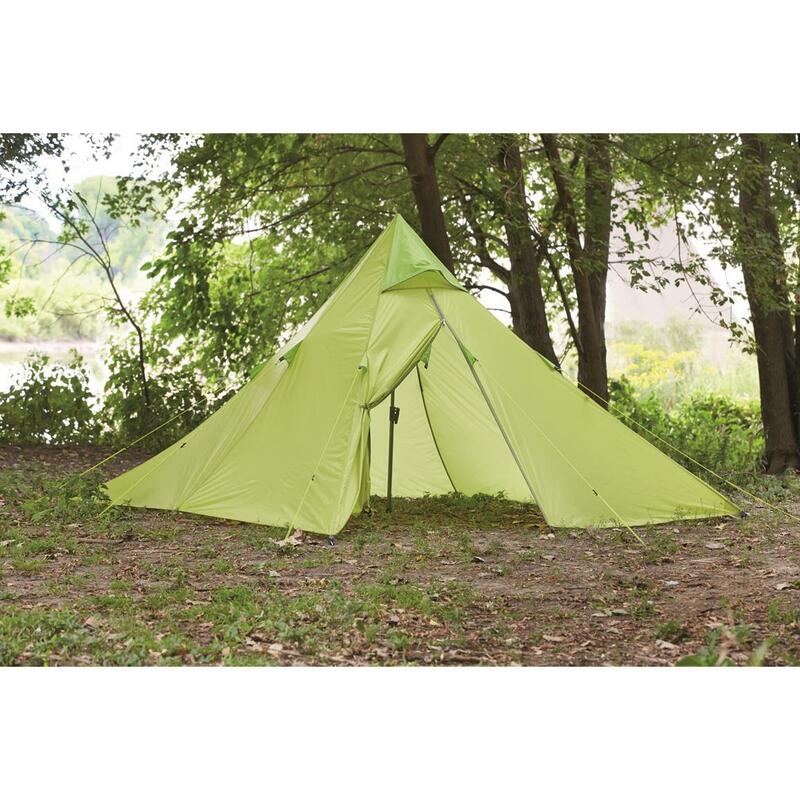 You'll appreciate the traditional conical shape of the Tepee, which works superbly in high-wind environments. When the winds pick up, just stake it down extra taught using the included guylines and multiple stake-out points. 2 vents on the roof provide ample circulation to keep you cooled when the day heats up. 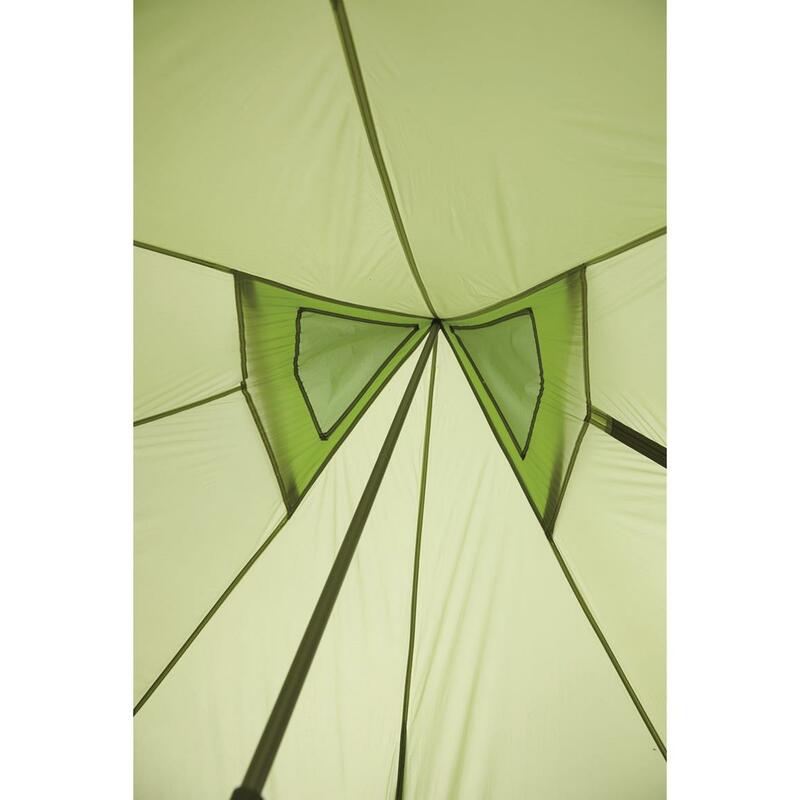 And no more pooling puddle forming inside your tent. 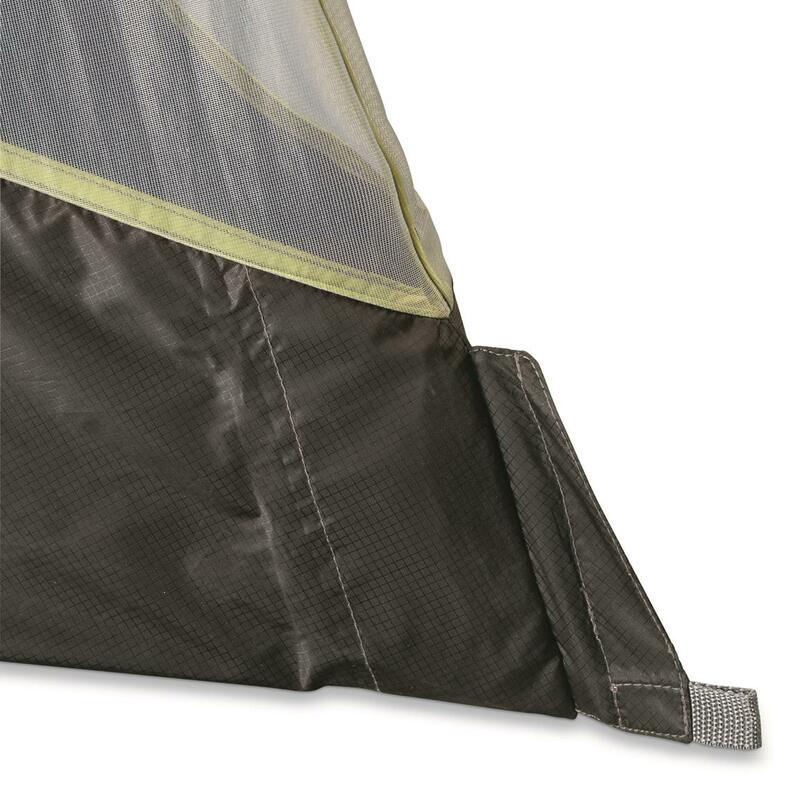 The mesh tent has an attached bathtub floor to keep water where it belongs—outside. Plus, aluminum reinforcement rods on all four corners keep it rigidly taught, so water won't seep through. Packed Size: 26" x 6.3"-dia. 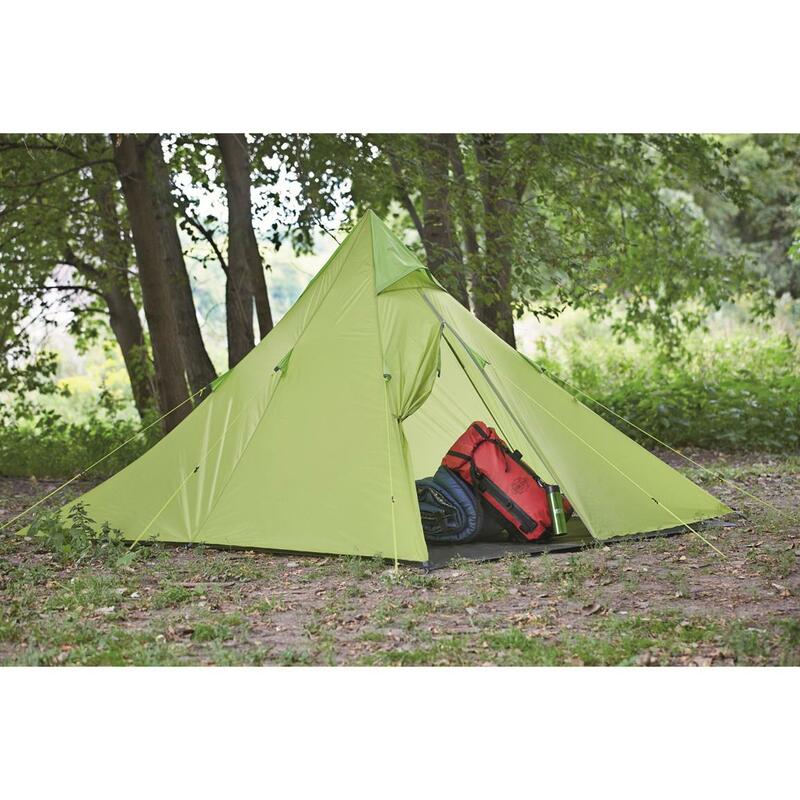 Mesh Tent Base Weight: 1.2 lbs. 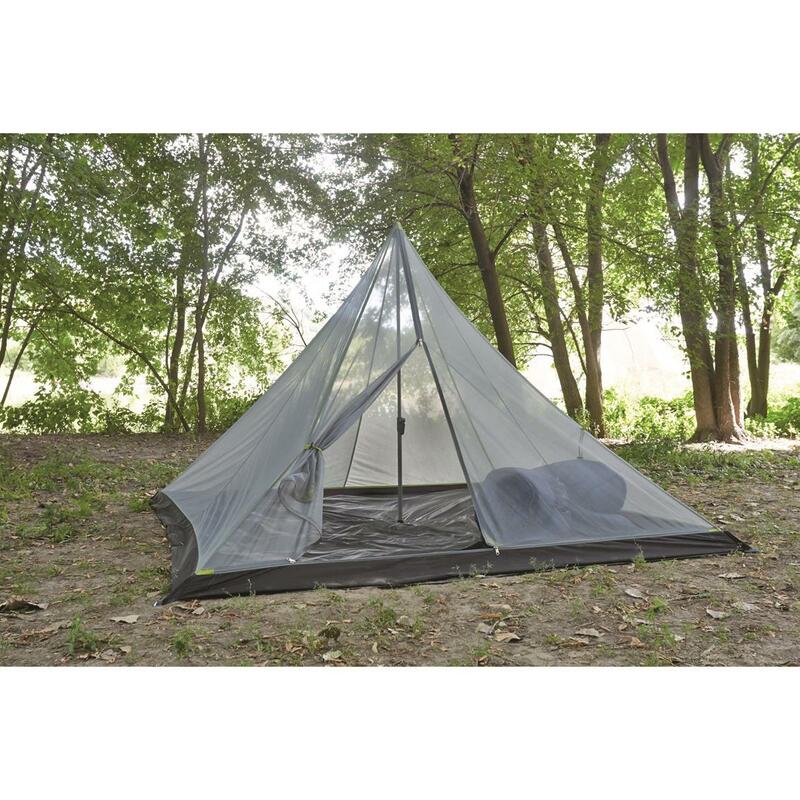 Teepee Tarp Weight: 2.3 lbs. 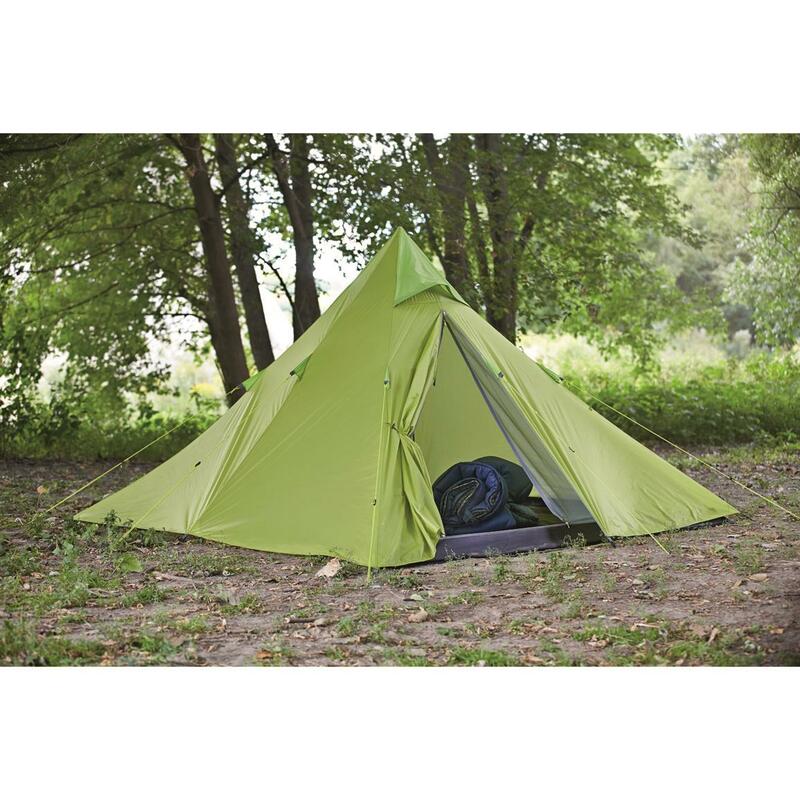 Guide Gear 8 x 8 Backcountry Teepee Tent System is rated 5.0 out of 5 by 2. Rated 5 out of 5 by Doug from Great product! I have been watching this teepee for quite awhile. I could not resist making the purchase when the price dropped. I am pleased with the quality of the materials. All features are as specified. I am looking forward to spring time weather for my first 2019 outings. I have purchase 3 additional since. Transforms your pickup into a camper! 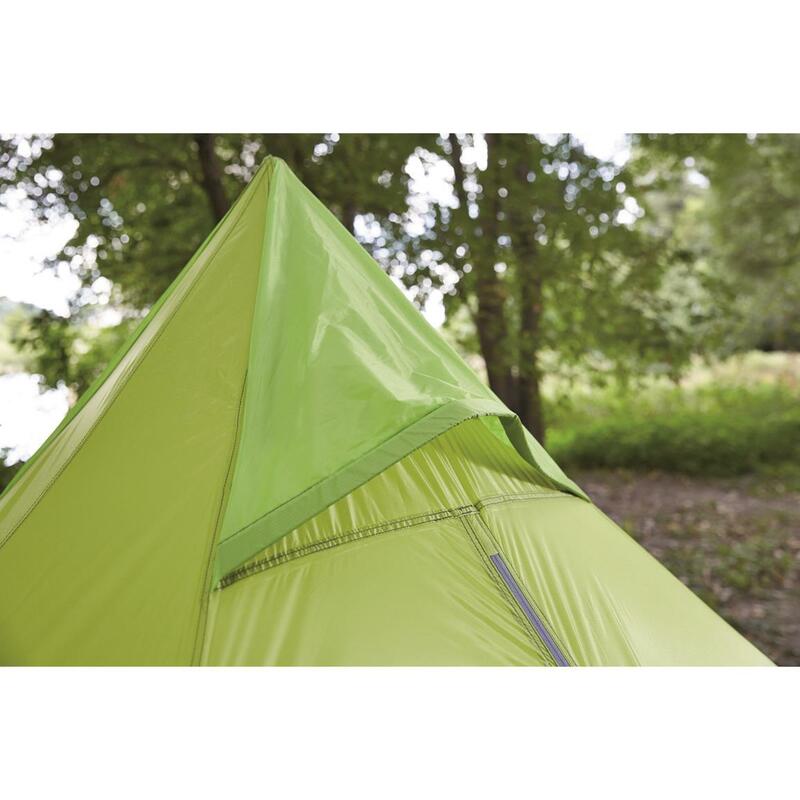 A perfect fit for your Daybreak 4 Tent.